3T3 (connective tissue) growth in culture on handwoven catgut scaffold. Approximately 12 weeks of growth. 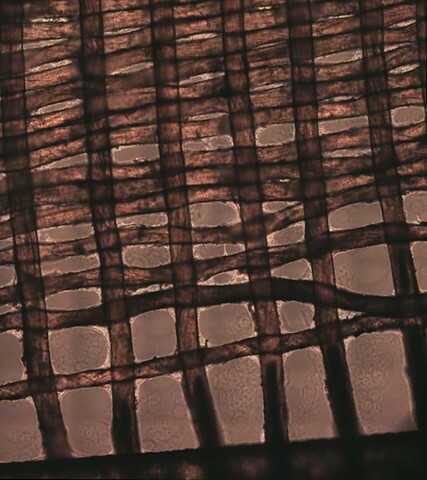 Growth is shown as whitish, cobweb-like layers of tissue connecting thread intersections. Image capture by Guy Ben-Ary.